Home • News/Blog • Urgent request from 1, 2, 3… Hi Baby! Over the past year, Brego.net and other Viggo Mortensen websites, including Just Viggo, Obsession, Viggo-Works, and Virtual Viggo, in conjunction with Friends On Board, have helped support the 1,2,3 … Hi Baby! program at Pine Ridge Indian Reservation. Today we received the following urgent request for assistance, and we hope some of you can help out. I am writing this email to you because you and many others have contributed to 1, 2, 3… Hi Baby!, Inc., a non-profit organization over recent months, in so many ways, from the occasional monetary gift, hand-made baby items, diapers, formula, infants and children’s clothing… Some have even sent coupons to help with infant care essentials. Today I am urgently asking you for help. 1, 2, 3… Hi Baby! works every day to reduce the infant mortality of Indian People of the Pine Ridge Indian Reservation, ensuring healthy pregnancies, healthy children and families by providing individualized case management services. We integrate case management services to provide culturally appropriate case management services for pregnant and postpartum women and their children through four years within the health care system of the Pine Ridge Indian Reservation bridging the cultural gap between professional health care providers and our clients, advocating on behalf of women to enhance the delivery of culturally competent prenatal health care. While transporting a client to a health care related appointment yesterday, 4/20/09, the transmission of our Ford Windstar van gave out and needs a $2,300 repair / rebuild. This is the first major repair this vehicle has ever needed, most likely because of the regular maintenance and care we’ve given it. But we desperately need this van to perform daily home visits and provide transportation for our clients to health care appointments and case management home visits, both of which are vital in the prevention of infant mortality throughout the Pine Ridge Indian Reservation. Please help us with this unexpected, necessary expense. We are asking for donations in the amount of $100 or what ever you can afford. Won’t you please help us? Any and all donations will be very greatly appreciated. Your generous donations can be made via check, money order, or online at PayPal.com to hibaby123@goldenwest.net. Cedar Face Foundation – 1, 2, 3…. Hi Baby!, Inc.
Cedar Face Foundation – 1, 2, 3…. 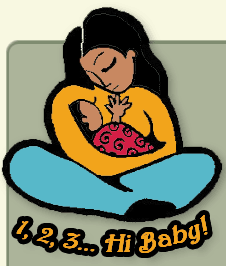 Hi Baby!, Inc. – Passionately and personally engaged in reducing infant mortality of Indian Peoples through advocacy and promoting increased Maternal, Child and Family Healthcare. If you would like more information about our non-profit organization or would like to learn more about what you can do to help us help families raise healthy children and decrease infant mortality of Indian people of the Pine Ridge Indian Reservation, give us a call at 605-867-6265 or email us at hibaby123@goldenwest.net. We’d love to visit with you in greater detail. Update September 2018: The websites originally referenced are no longer active, but Friends of Pine Ridge Reservation has lots of information on how you can help.